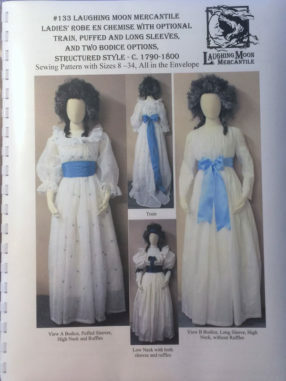 Ladies Robe en Chemise with optional train, puffed and long sleeves, and two bodice options. Ladies sizes 8-34–all sizes included! 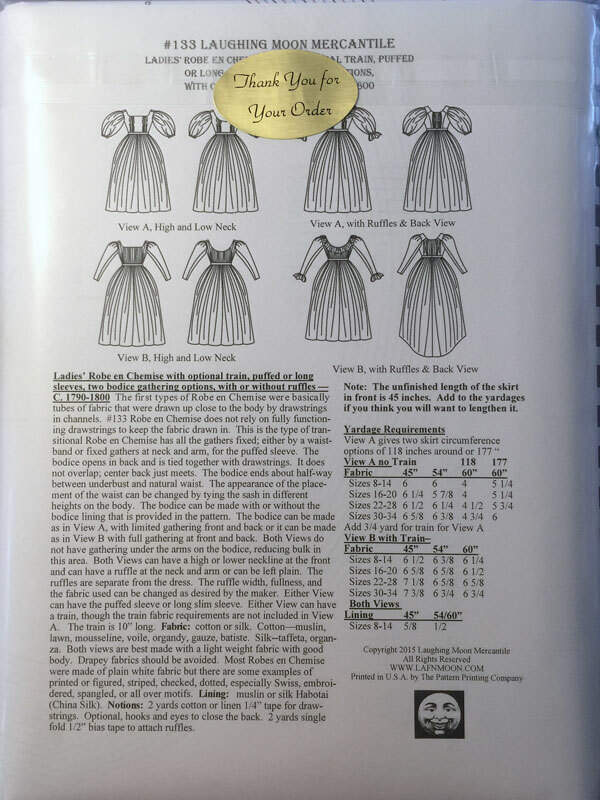 It is printed on white paper, has color-coded cutting lines, instructions in a booklet format, and a re-usable storage bag. These patterns are well researched and offer suggestions for modern & historical details.